My mother was born in 1919, in Burnie, Tasmania. She was given up for adoption, and renamed. 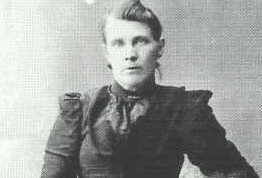 Her then-unmarried biological mother was born in Burnie, Tasmania, 1900, to Daniel Williams and Alice Mary Burgess. Alice Mary Burgess was the daughter of William Burgess and Sarah Jane Nash, who were born in Launceston, Tasmania. William was a son of two convicts, Richard Burgess from Sussex England, and Johanna Saunders from London, England. Both had been convicted of stealing and arrived in the penal colony in June 1818 and February 1825 respectively. They married in April 1826. William's second wife, Sarah Jane Nash, was born in Hobart in 1847, to Vivian (John) Nash and Hannah Allen, who had married in London in 1842 and migrated to Australia several years later. The origins of Alice Mary Williams' husband Daniel had been unknown to me until late December 2017, when I made contact with a couple of people who matched me and my siblings on DNA. Thanks largely to their research on Daniel's half-brother Robert Williams, it now appears that Daniel Williams was actually born William McDaniel in Port Sorell, Tasmania, in 1869. His mother was Ellen Lee, and his father John Jennings. Ellen had come to Tasmania as a child when her mother Ann Sheridan was transported for theft in 1848 and John came to Tasmania in 1844 from Ireland as a teenager with his mother Eleanor McDaniel and stepfather Richard Jennings, along with two other male children. Eleanor & Richard had married in India in February 1829 after each was widowed. It appears John was born John McDaniel around 1828 at about the time his biological father died in India. Eleanor & Richard Jennings appear to have had a son Richard in July 1834 in Bengal, at which time Jennings was described as a corporal in the 38th Regiment. That regiment returned to England in May 1836 and then went to Ireland. NB The Irish name "McDaniel" is one of many spelling variants including McDonel and McDonald. John Jennings had a number of children with Ellen Lee though they were not married to each other. Just prior to his early death in 1871, apparently realising he was ill, John applied to have three of his boys placed in the Queen's Orphan School in Hobart. The document listed their surnames as Jennings, but in a subsequent letter to the school John asked that they be known by the surname McDaniel, his own birth surname; in fact at least one of them (William) had been baptised with that surname. Two of the boys were accepted to the Orphan School but the youngest (William) aged 2&1/2 was rejected as he was too young. His mother Ellen, by then back with her husband John (aka Richard) Williams, took the child and evidently they renamed him from William Jennings/McDaniel to Daniel Williams, so retaining part of the father's birth surname as his given name. All very convoluted and confusing for we researchers! John Jennings' mother Eleanor died in Hobart in 1877, as a pauper. She was shown as aged 80 and of Irish birth, but no other details were recorded. There is no trace of "Richard" Jennings' fate but there now appears to be a clue in that the newspaper report of the family's arrival in 1844 calls him Richard but a letter to the Admiralty in 1843 seeks to arrange passage and victualling for "Sergeant Redmond Jennings and 3 sons", naming him as a superintendent of convicts. We can see a death record for Redmond Jennings in 1857 in Hobart, so it looks as if Richard Jennings and Redmond Jennings are one and the same. Although this is rather curious (Redmond is an Irish form of Raymond, not Richard), I am at this time inclined to believe they are the same person. The 1912 Queensland death certificate for his son born 1834 in Bengal says the mother was Eleanor Jennings nee Holloway. I have yet to find any other evidence of her maiden name. My mother's unknown father was also a mystery till fairly recent times. Again, DNA matching narrowed things down. A combination of autosomal DNA and X-DNA matches tells me that my mother's biological father was one of the sons of John Carlton Sice and Charlotte Ellenton. We can't pinpoint which of the sons was the father, but it scarcely matters. John Carlton Sice was a son of George Sice and Grace Carlton, both transported to Tasmania for theft in 1830 and 1834 respectively. They married in 1838 and had a large family. Looking at the records of our convicts, you can see that they were sometimes savagely penalised for even minor infractions in the colony, frequently with months of hard labour and sometimes solitary confinement. They were harsh times and we might do well to admire their resilience in surviving such a system. My mother lived her early years in Burnie with her adoptive parents and the family moved from Tasmania to North Melbourne around 1930. My mother was made aware of her adoption in a very unsatisfactory manner as a teenager, after the early death of her adoptive mother. She obtained her birth certificate some time later and knew who her biological mother was, though no contact was ever made; in those pre-internet days, that sort of research would have been difficult. My mother died in 1995 and it was her death that started me on the path of family history research. I'm unsure if she'd have been happy to know she had a few convict ancestors, but nowadays its a bit of a status symbol!